Connie J. Pence, a paralegal at Rainey Martin, LLP, has been named Cambridge Who's Who Professional of the Year in paralegal services. /24-7PressRelease/ - OKLAHOMA CITY, OK, August 08, 2007 - Connie J. Pence, a paralegal at Rainey Martin, LLP has been named Cambridge Who's Who Professional of the Year in paralegal services. While inclusion in the Cambridge Who's Who Registry is an honor, only a small selection of members in each discipline are chosen for this distinction. These special honorees are distinguished based on their professional accomplishments, academic achievements, leadership abilities, years of service, and the credentials they have provided in association with their Cambridge Who's Who membership. Pence, a paralegal for 25 years, is experienced in many areas of law including corporate, commercial, civil litigation, asset protection, real estate development, estate planning, probate litigation, elder law, bankruptcy, employment law, personal injury, title opinions and background investigations. In addition, she has significant experience managing complex litigation matters, electronic discovery, trial preparation and support, and liaising with clients, attorneys, judges, clerks, bailiffs and court clerks. Her varied responsibilities include preparation of pleadings and correspondence, organizing documents and assisting with the formation of business entities and corporate updates. She attributes her success to hard work, passion for the profession and family support. Pence is a member of the Central Oklahoma Association of Legal Assistants and currently serves as COALA's public relations chairwoman. She is an appointed board member of the Oklahoma County Bar Association Law Day Committeeand is also a member of the Oklahoma Paralegal Association and The National Association of Legal Assistance. Pence received a Westlaw Paralegal Program Certificate of Achievement. 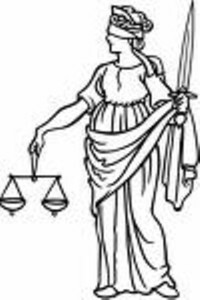 She regularly attends legal education seminars and has completed coursework in specialized mediation services. She is an annual test monitor volunteer for Putnam City schools and was named Legal Assistant of the Year by COALA for being "exceptionally conscious" and for working "tirelessly as a team player" to meet clients' needs. For more information on Rainey Martin, LLP, visit their website at http://www.okclaw.com. 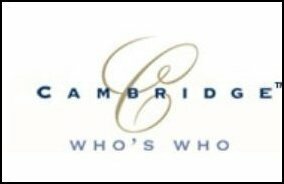 Cambridge Who's Who members have exclusive access to the biographical information of more than 200,000 successful executives, professionals and entrepreneurs at www.cambridgewhoswho.com, where they use the database to share information, knowledge and services. Communication via the Cambridge Who's Who registry travels in two directions, enabling Cambridge Who's Who members to reach out when they have a business need or opportunity as well as receive information on exciting new ventures. Cambridge Who's Who Among Executives and Professionals is dedicated to providing its members a worldwide networking forum where they can establish new business relationships, and achieve career advancement within their company, industry or profession. Our company's goal is to deliver our members recognition, support and credibility, giving them the competitive edge needed to succeed. Cambridge Who's Who has more than 250,000 active members. Our extensive membership base highlights executives and professionals in virtually every profession and industry.